Systemic Branding is a strategy consultancy firm committed to results: we develop strategies designed to improve the value of a brand. We can deliver on this task successfully because we consider a brand as anything but static – we see it as a process. To be precise: we conceptualize it as a dialogic process, which creates relevance and meaning both within a corporation and within the market. Relevance and meaning are the key to building relationships and trust – and a prerequisite to managing brands successfully and creating lasting benefits. Brand as process: transparent, effective, continuous. Managing a brand as process creates relevance and ongoing renewal. A brand evolves and changes constantly – be it in our thoughts, our feelings or our actions. A brand creates expectations and experiences in all who interact with it: consumers and retailers, fans and critics, employees and investors. As a long-standing partner of OEMs and their agencies, we support executives in order to implement a brand as a companywide tool and sales driver, to keep their organization flexible and agile, and increase their performance and results. 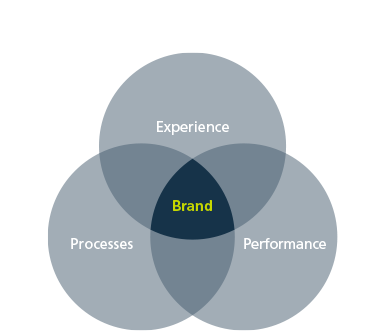 At Systemic Branding we plan, monitor and optimize the brand management process. We plan by designing a brand experience that ensures relevance at all the required touch-points. We monitor by utilizing our brand performance indicator, which shows if a brand delivers sufficiently in all aspects. And we optimize by analyzing brand process management structures and workflows to enhance efficiency and effectiveness. Brand experience, brand process and brand performance are the three core disciplines of our effective brand management approach; they represent our three business areas. 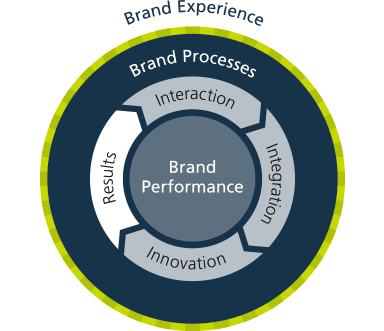 We define brand experience management as the conception and implementation of a consistent multi-channel experience. Brand process management includes all the activities, which are designed to define and follow up the processes required. Finally, brand performance management is the means by which a company can evaluate and verify whether or not the brand develops successfully. While all three sectors only form a complete picture as they interact, it is useful to zero in on minor problems initially and initiate pilot projects to produce rapid and transparent solutions. Keeping stakeholders up to date and providing them with comprehensive documentation ensures follow-up projects can be managed easily by anyone, including third parties. Benefits for the brand, its customers and the company are what guide our activities at every turn. enables brand performance and outcomes to develop ideally.